Matthew Syed is a leading columnist and feature writer for The Times and the host of the UK's biggest podcast: Flintoff, Savage and the Ping Pong Guy on BBC Radio 5. Matthew also gives business talks to major international corporate clients including. Before becoming a writer Matthew was the England table tennis number one for almost a decade, three times Commonwealth Champion, and he twice represented Great Britain in the Olympic Games. Matthew Syed's first book, Bounce: The Myth of Talent and the Power of Practice, was shortlisted for the William Hill Sports Book of the Year. 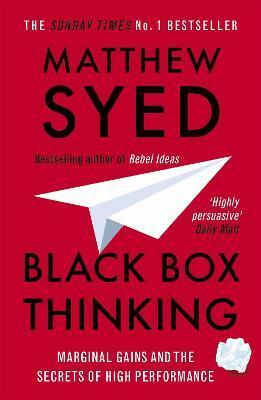 His second, Black Box Thinking, was a Sunday Times No.1 bestseller. He has also published a collection of his award-winning sports columns in The Greatest.